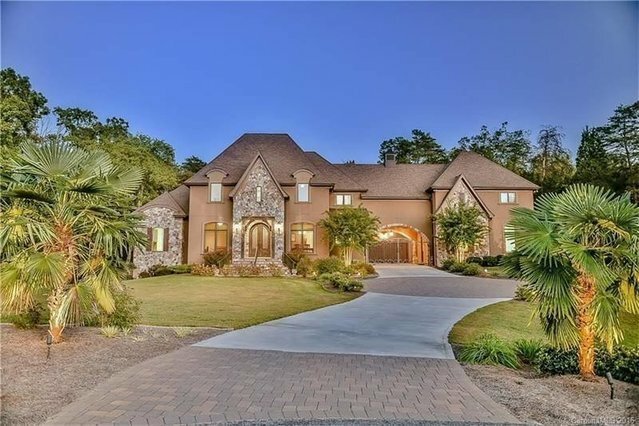 Exquisite home on private 2.47 acres in gated community conveniently located. Gourmet kitchen w/custom cabinets, wood-panel fridge, copper sink & large center island. Open GR w/fireplace & builtins. 889sqft of unfinished space can be easily finished to create any room desired by buyer. Guest bed & bath on 1st flr. Covered back porch w/remote control screen. Amazing quality and detail throughout! Icynene insulation for energy efficiency. Gated Port Cochere leads to courtyard w/4 car garage. 3 tankless water heaters, 3 HVAC systems, solid wood doors, surround sound-full list of features is attached. Northstone Club is only 1.3 miles away w/golf course, 4 pools, 3 tennis courts, fitness center.